I've read the first couple of pages of this. I do so want to read this. I'm on hold for it at the library. I'm so glad you are doing this. I love him, already..his name is Oliver and he's British! Great edition to your blog. What a great pick..with Valentines Day on the way! Ah!!! A book club! I look forward to this! Erika, this is the greatest idea ever! I'm such a huge book fan as well, and my bag ALWAYS has a book in it. The book sounds interesting. I'll definitely try picking it up. I'll buy it on my Kindle today! Great idea! Love to hear about new books to read! i wish that i was a better reader. i just have a hard time finding something that i want to read, and so i just... don't! i will have to give one of these a try!! i was never a reader growing up. so i love seeing peoples reading lists so i can jump on board. Awesome idea ! We had a book club but it seem that it is to hard for everyone to get together. Priorities you know? EEEKKKK! I am so excited for this! And yes, oh yes, this story is perfect for me. I love those Brits! Oh how fun, that book sounds good! What a great idea, darling! LOVE the idea of a regular book club post! I am trying to read more in 2012 and this post makes me more excited. Thanks! Do not miss New Chantecler collection . Visit my blog. I love that synopsis...love it when fate deals you a life-changing hand...I'll definitely look into your pick! Thanks for sharing! It's so nice to see a fellow book worm. I wish I had more time for personal reading. Grad school kind of takes over my life. 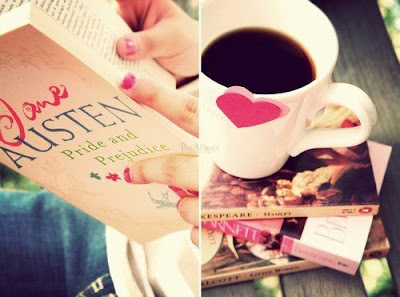 I would sure love to be apart of this book club and Jane Austen's Pride and Prejudice is a thoroughly good read. 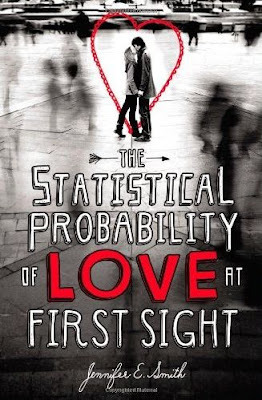 I'm gonna have to get started with your first suggestion of The Statistical Probability . . .
fab idea! if i weren't so busy i would totally read this. great choices! What a great idea! I like the twists of fate and quirks of timing mentioned in this book ... they always make for a great story. LOVE this idea, Erika! I won't be able to swing it this time (my library doesn't have any copies and I used up my "fun" budget for the month XD), but I'll stay tuned for the next one! Such a lovely idea. I'm so looking forward to it. Its on my list to read, too. i've heard of this book!! sounds interesting. This is SUCH a great idea! Not sure if I'll have the time to take part this semester, but I'm really loving the inspiration! oh- what a brilliant idea!!! That is so awesome of you. Honestly, I would love to do this BUT- I am in a book club already with my friends and one is about all I can muster with work and all that. But I look forward to reading your posts and i might recommend this for my book club when I get to pick the book in 2 months! oh yay I will start next month too much going on this month!. I feel special now to be part of a book club. This is such a fun idea, Erika! I definitely have to read this! Oh my gosh! I have totally been meaning to read this, but I just never got around to it! Maybe this will make me actually READ a book before it becomes old news. @rems I have to agree with you. Oliver and Hadley fit together like two puzzle pieces. I LOVE their easy-flowing banter, and understanding of one another. Yes! I totally agree, especially her just knowing where to find him kind of thing...has anyone else finished it? loooved it! I loved this book! It was well written and didn't read like a typical YA book. I can't wait for the next book!